It was fascinating to go back and look at what had changed over the last 25 years of the North Melbourne News (the "and West” was added later). Key issue of the day in the neighbourhood was unemployment. There was a substantial population of unemployed people in North Melbourne, and the News ran articles suggesting ways that people could save money. There was even the odd cartoon. Almost every issue 25 years ago had a reference to the unemployment crisis. The threat of pollution, particularly from lead-containing petrol, and traffic congestion from car use were also recurring themes in early editions of the News. Most cars today use lead-free petrol, although whether we've tackled air pollution and traffic congestion adequately is something readers will have to judge for themselves. The inaugural North Melbourne Community Fair - now the Spring Fling — was held in October 1977, 14 months before the first North Melbourne News appeared. There were photos from the second Community Fair in an early edition. There were some names of businesses long since gone. Parachute, the first home of the North Melbourne News, was a famous watering hole that disappeared (or, as one cheeky letter to the editor put it, “floated away”). Still, there are a few familiar faces. The Happy Hanger even has the same logo that it did 25 years ago. The North and West Melbourne Neighbourhood Centre had an illustrious guest speaker one meeting - no less than Dr Jim Cairns. Sadly, Dr Cairns passed away earlier this year. Also no longer with us is the Iron House, which featured in an article in an early edition of the News. 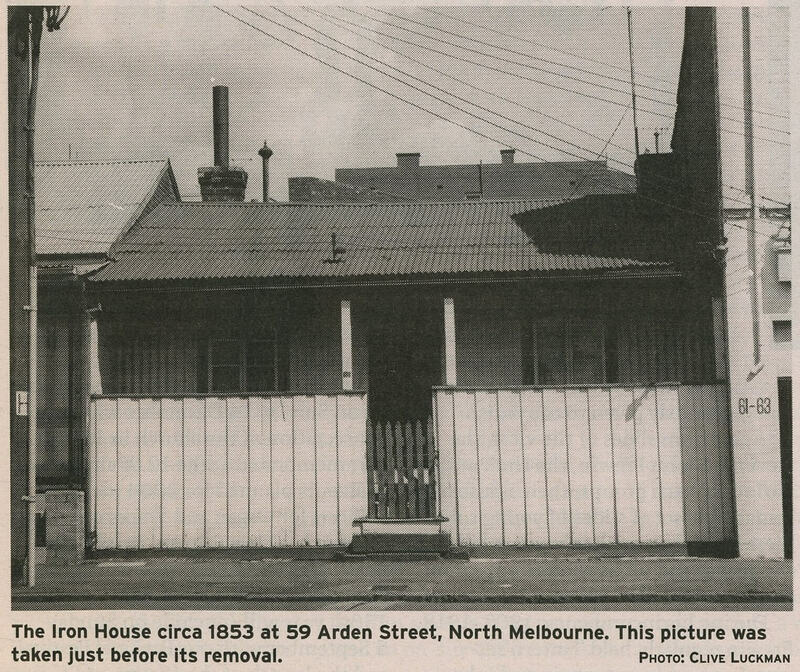 The Iron House had stood in Arden Street since the mid 19th century and was architecturally significant as an early form of prefab housing constructed of iron. It would be nice to be able to report that today's town planning is more enlightened in preserving our heritage.